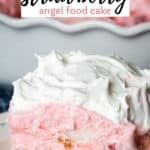 Easy strawberry angel food cake recipe made with jello, cool whip, frozen fresh strawberries and angel food cake. 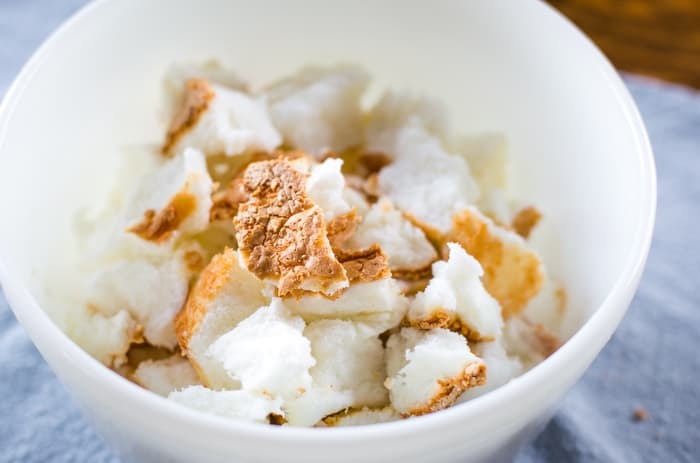 This sweet no-bake make ahead refrigerated dessert is a summer favorite. A good fresh strawberry dessert recipe is one of my favorites this time of year. 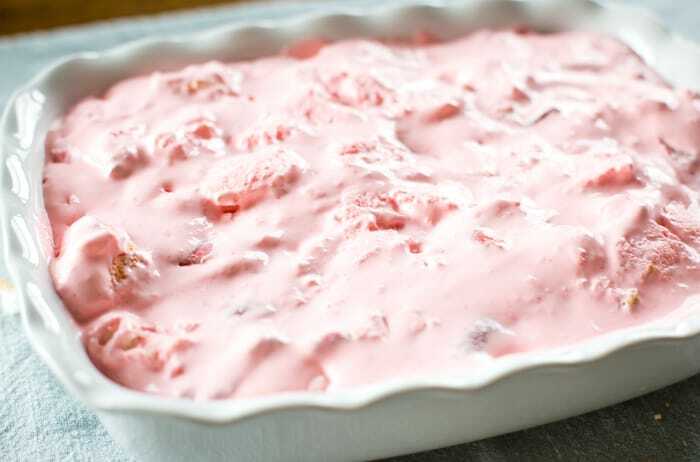 While the strawberries aren’t ripe to pick YET in Ohio, I do know that they are in other parts of the country which has me thinking about strawberry desserts like strawberry shortcake. And because I’m seeing the prices drop at our area grocery stores, I wanted to make a fun dessert that was very easy but used fresh strawberries! To be honest, this original recipe given to me when we were married, called for frozen strawberries. Right now the prices for frozen strawberries are double what they are for fresh. I decided to mix up the recipe and freeze the fresh strawberries so that I could use what was fresh and also save money! To make this fresh strawberry dessert recipe you will only need four ingredients! It was easy to freeze the fresh strawberries. 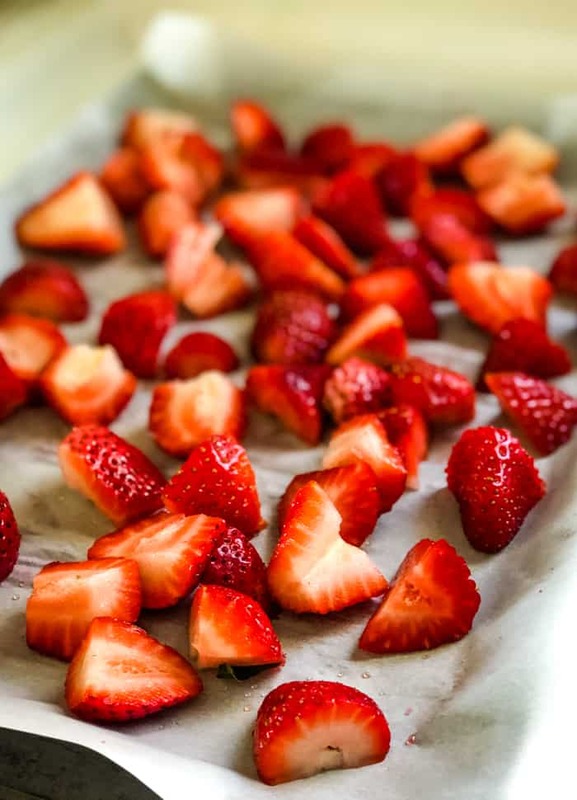 The day before you plan to make this recipe, wash and cut one pound of fresh strawberries. You’ll want the strawberries to be bite size. Place them on parchment paper and freeze. Once they are semi-frozen you can put them in a plastic bag to use when you’re ready to make the strawberry angel food cake. When you’re ready to make the strawberry angel food dessert, break the angel food cake into 1 – 2 inch pieces. Add to a bowl and set aside. Boil 1 1/4 cups of water on the stove. Dissolve the Jell-O into the boiling water. 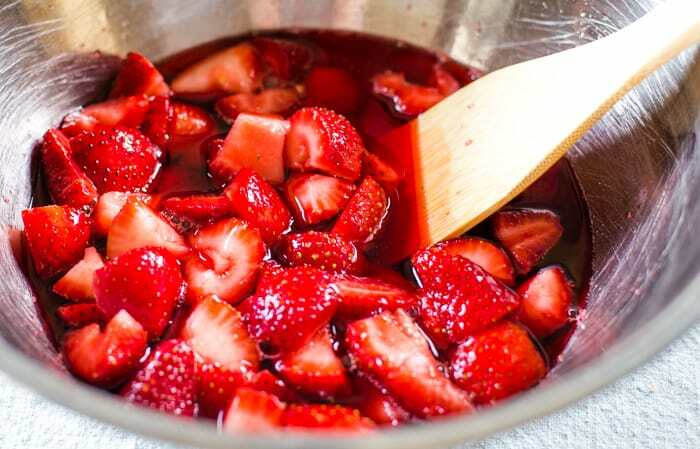 Once dissolved, add the frozen strawberries and stir. I then transferred the strawberry mixture to a mixing bowl. 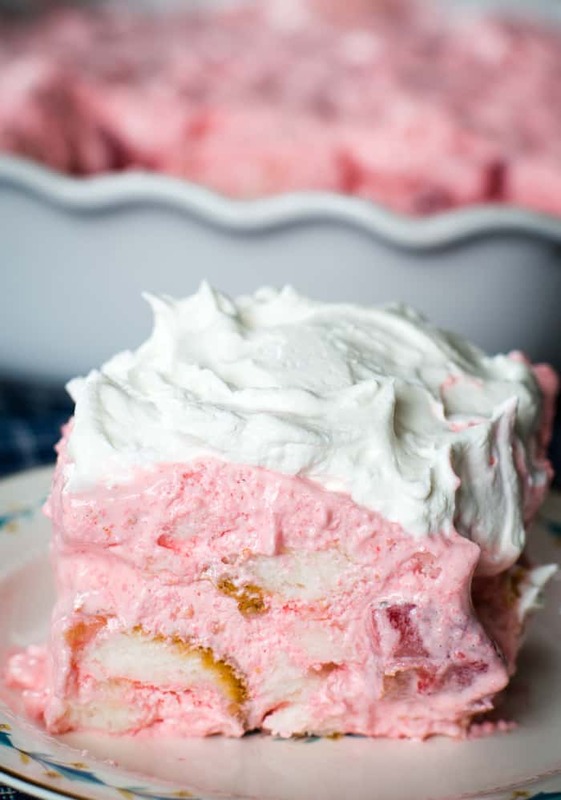 Fold in the cool whip into the strawberry mixture. Yum! Fold in the angel food cake to the strawberry mixture until well combined. Add to an angel food pan or to a 11×7 pan. You can use a 9×13 pan as well but I like my strawberry angel food cake a bit thicker. Place the cake into the refrigerator for at least 3 hours to chill. Longer is better! 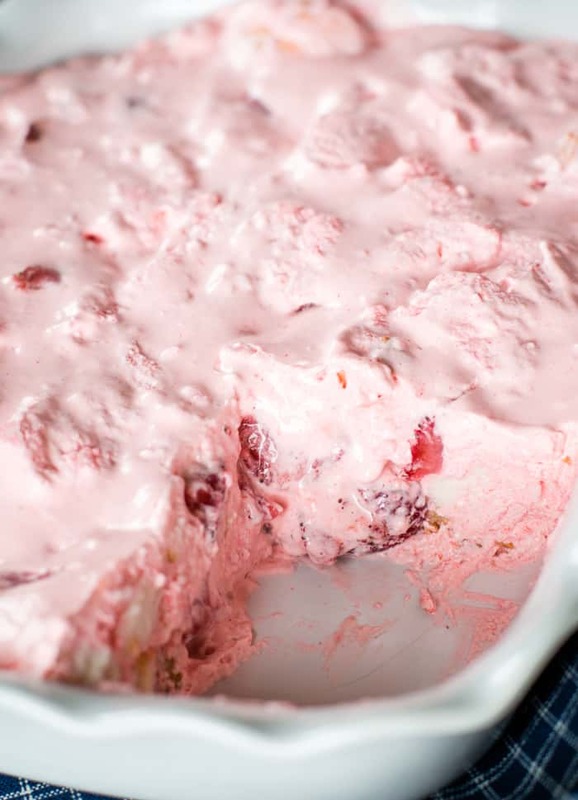 This Fresh Strawberry Dessert recipe took minutes to make! It’s an easy and fresh dessert to enjoy those fresh strawberries on a hot day! No oven required. Top with whipped cream if you prefer and enjoy! 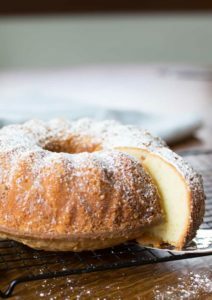 What size pre-made angel food cake do I need to purchase? 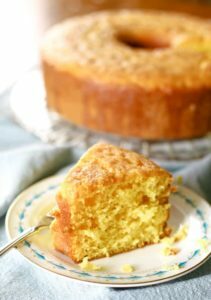 I used a 13 oz bakery made angel food cake for this recipe. 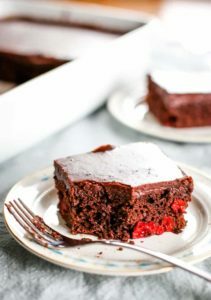 Do I need to grease the pan before adding the strawberry mixture? No. I didn’t and had no problems. Why use fresh strawberries and not buy frozen ones? I like to be in control of how big the strawberry bites are. I’ve also found that buying fresh certain times of the year is much cheaper. That being said, you could use store bought frozen strawberries if you prefer. 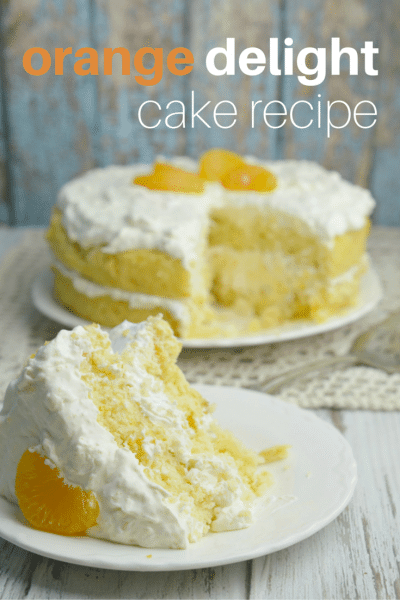 Can you use an angel food cake pan to make this recipe? I did in the past, but it was very difficult to get the cake out of the pan. For this reason I suggest using a 11×7 or 9×13 inch pan. Delicious angel food cake dessert made with fresh strawberries, cool whip, jello and angel food cake. A super easy no bake – make ahead dessert! Wash and cut fresh strawberries into bite site pieces. Freeze until ready to use. 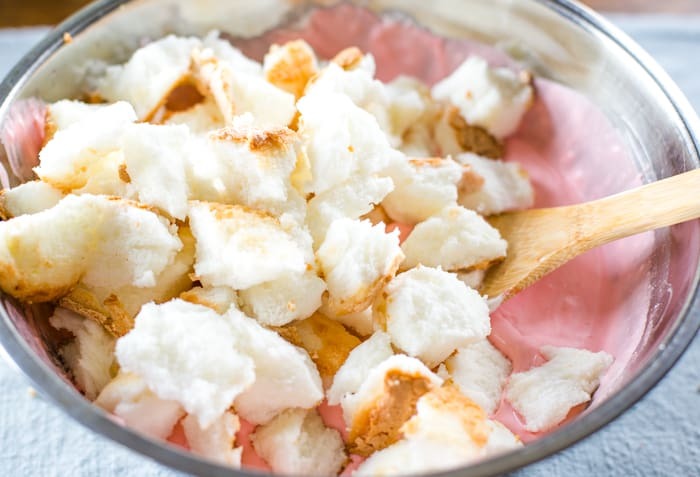 Break angel food cake into 1 – 2 inch pieces. Dissolve Jell-O in boiling water. Add frozen strawberries and stir. 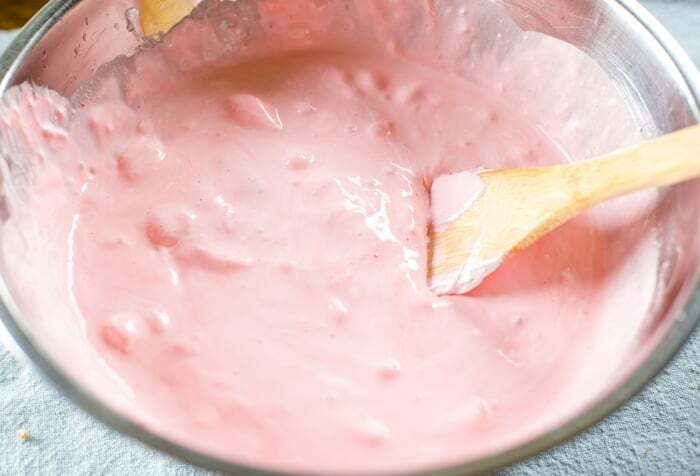 Place strawberry mixture into large bowl and fold in the Cool Whip. Add angel food cake pieces and combine. Pour into 11×7 or 9×13 pan. Chill in the refrigerator for at least 4 hours or until fully set. 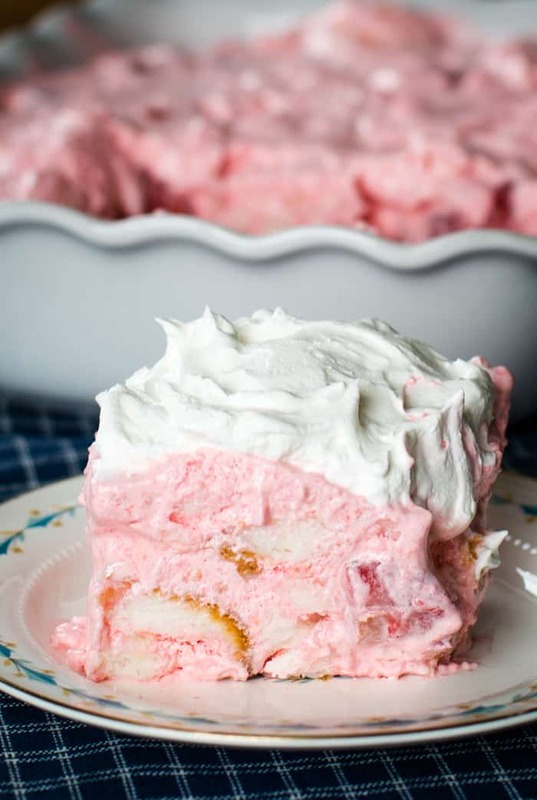 Strawberry Angel Food Cake Recipe originally shared May 2014. Updated 2019. Do you have any Nutritional information on this? I’m diabetic, but this seems like it could be be a low- calorie recipe if you used sugar free jello. if do not like cool whip that purchase in store, what can I use with the strawberry angel food cake ? Malinda, you can make your own whipped cream homemade. I don’t see why that would be any different. You’ll just need to be careful that you use the same amount as cool whip. What size cool whip container do you use? I’m wondering if I could just put this in my trifle bowl and chill and serve it in that? It’s SO pretty I’d had for no one to be able to see it if it was just in a casserole dish! Can’t wait to try it, it looks delish! I don’t see why not. Let me know how it goes! Found your recipe through Facebook. The picture looks scrumptious! You mentioned the desert was fragile when you removed it from the angel food pan: have you considered using a 2nd box of jello or packet of Knox gelatine to firm it up? That sounds really good with the double strawberries. I have not tried it with twice the jello. Let me know how it turns out!